Practice gratitude D A I L Y. Did you know that what you choose to focus on grows? Have you ever had something on your mind and all of a sudden it shows up everywhere? Gratitude and abundance can work in a similar way. You spend a few minutes each day thinking about all the things you're thankful for and all of a sudden you start seeing more + more of it show up in your life. Are you ready to create a positive and meaningful habit in just a few minutes every day? We created this challlenge to inspirea your commitement to practicing and expressing gratitude. 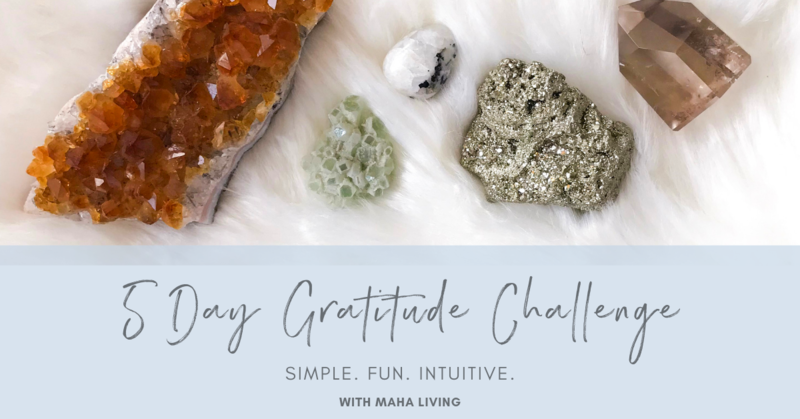 Every day for 7 days you'll receive a prompt with a daily question or challenge to help you express gratitude. We'll send you dail emails with tools and resources and prompts ofr each topic, and we'll be available for questions via FB throughout the challenge. Plus you'll have a space to share your gratitude with others. Once you click the 'Sign Up' button above. 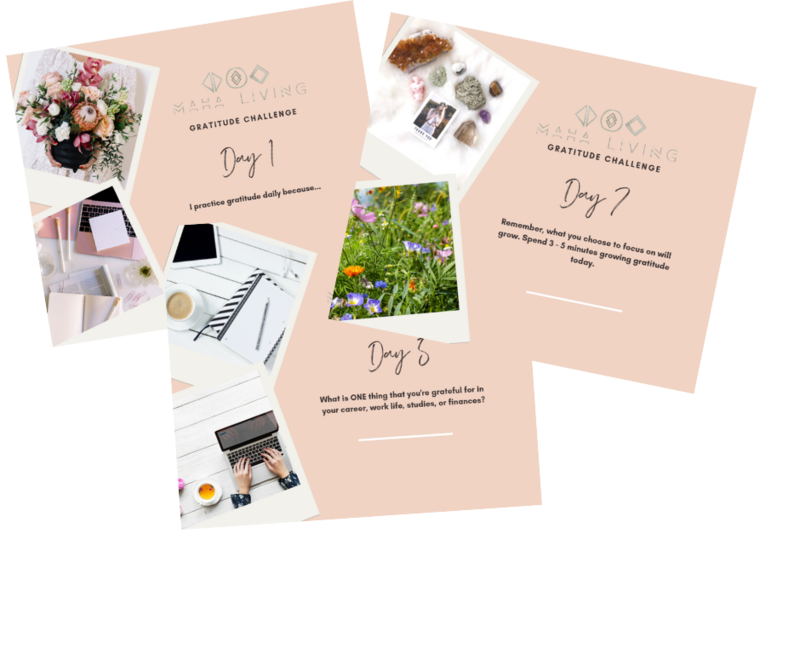 You'll receive you a follow up email with all the details you need to get started and shortly after you'll receive your very first gratitude question. + Stay motivated and bring a friend along with you! So why not choose to focus on all the good in your life right now?